During the Depression the ebullient American entrepreneur Charles Flanagan assembles 2,000 runners from all corners of the earth, to run from Los Angeles to New York for prize-money of $150,000. Flanagan’s Trans-America runners face 3,000 miles, across the Mojave desert and the frozen Rockies, running a daily average of 50 miles for three months. The American sports establishment, however, is desperate to crush what it sees as a professional challenge to the 1932 Los Angeles Olympics. Every day is therefore a struggle for survival, for Flanagan himself as well as the runners. Flanagan’s Run is an epic tale, and a testimony to the strength of the human spirit. At the height of the Depression, in 1931, entrepreneur Charles Flanagan organises the Trans-America race, in which 2,000 runners from across the globe compete for a $150,000 top prize. But the sports establishment tries to scupper what they see as a threat to the 1932 Los Angeles Olympics. 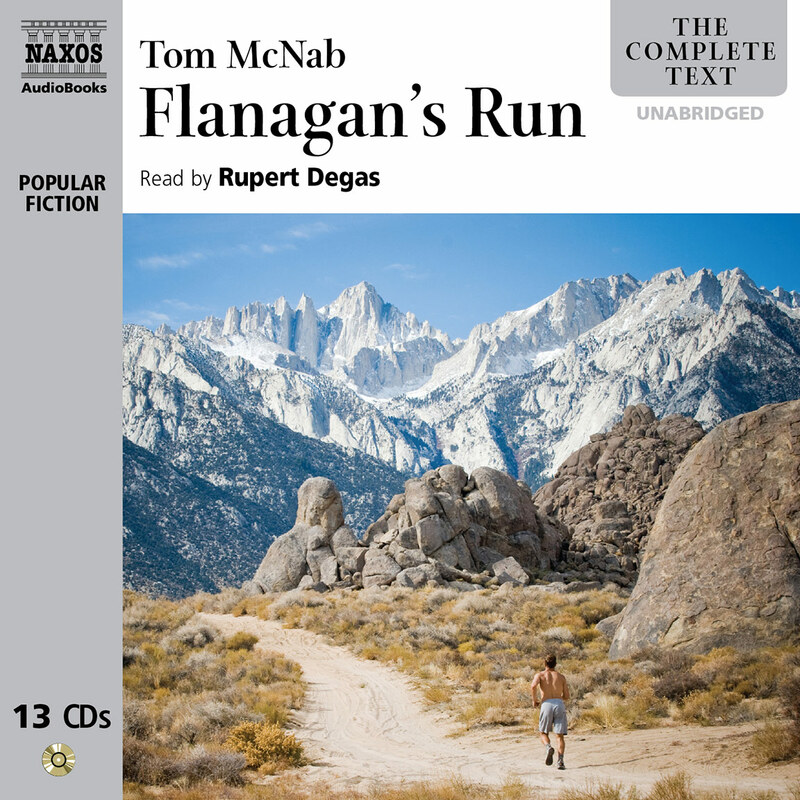 No less impressive than the fictional runners’ gruelling three-month journey (50 miles a day through desert and mountains) is the pathos of the individuals’ experiences which McNab creates – and Degas’s treasure trove of accents bring to life. 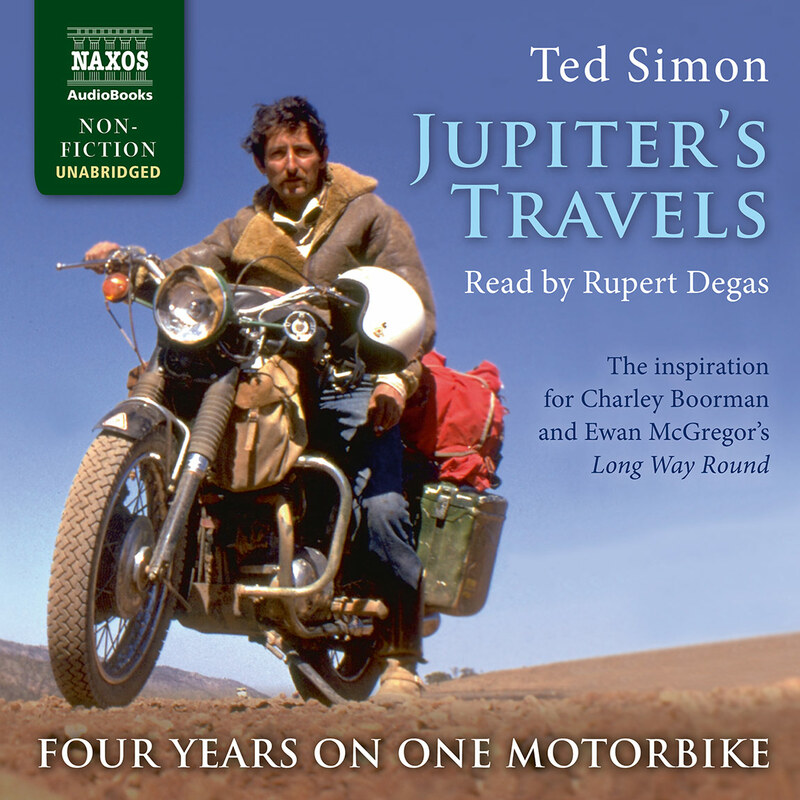 Today’s audiobooks are ideal for Easter fun-runners and long-distance harriers alike. 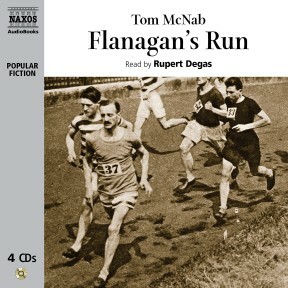 Tom McNab lived and breathed athletics as competitor, coach and sports writer for 40 years before writing his marathon of a novel, Flanagan’s Run, which was an instant bestseller on its publication in 1982. Set in 1931, in the depths of the Depression, it characterises the leading runners in a race from Los Angeles to New York. The prizes are vast but weather, Chicago chicanery and envious 1932 Olympics organisers seem set on destroying the adventure. 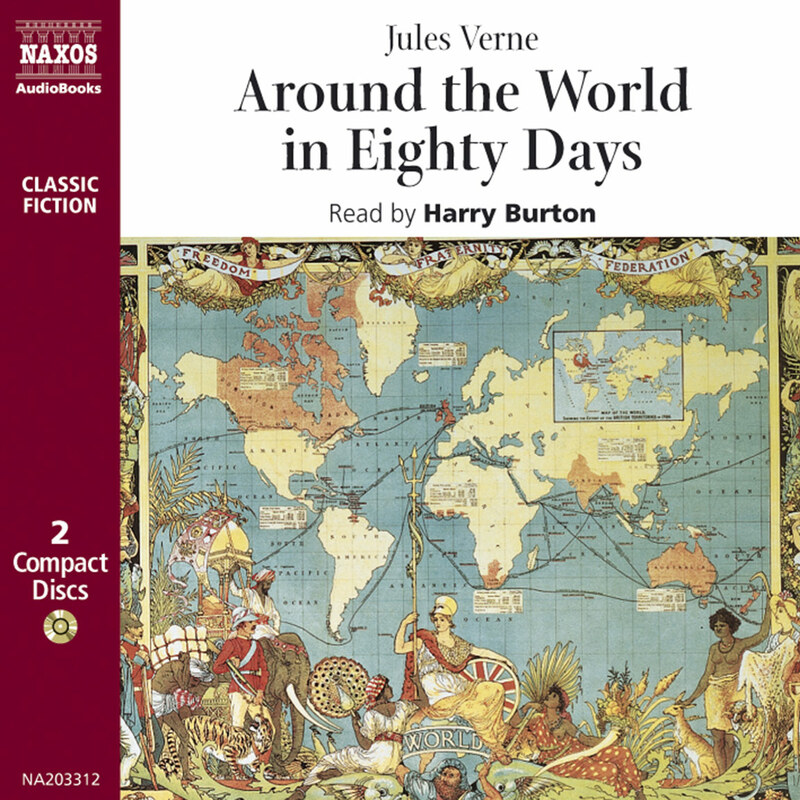 Sprinters can opt for the abridged version, but I recommend the long-haul version. Both are read by the versatile and compelling Rupert Degas. Much of my youth was spent in sport: endless hours of football in Glasgow streets, athletics on waste ground, staggering across muddy fields in cross-country races, scraping my behind over cane crossbars in my back garden. For in those post-war days it was not natural for a boy to be in the house. No. The house was for eating and sleeping. The rest of the time, until a lad left school, was spent in play. But not quite, in my case. For I was an obsessive reader, at first of the great D.C. Thomson comics, Rover, Wizard, Hotspur and Adventure. My favourite was Wizard, which featured the great athlete William Wilson. 148 years old when I first encountered him in 1943, Wilson had been given the elixir of life by a hermit called Matthew. For some reason he spent the early years of the 19th century running after and catching bewildered hares on Yorkshire’s Stayling Moor. Unlike Wilde’s Dorian Gray, he did not spend the rest of his life in debauchery, but in athletic endeavour, and by 1943 had run 100 yards in nine seconds and leapt seven feet in high jump, carrying a 16-pound shot. I well remember Roger Bannister’s surprise when I informed him that Wilson had beaten four minutes for the mile long before him, back in 1820. On such tales my imagination feasted. And to them I added Richmal Crompton’s Just William books, essentially a collection of marvellous short stories, thus taking me to Glasgow’s Riddrie Library. This, with the Mitchell Library in the centre of town, became my university for the period of my adolescence. For although a formal Scottish primary school education had equipped me well, in terms of spelling, grammar and arithmetic, secondary school was subject- and exam-based, and I did not take well to it. But, never let your education interfere with your studies; by the age of 18 I had read everything that Wilde, Shaw and Orwell had written, plus Slaughter’s Famous Trials, and a host of other random literature. It was what I call promiscuous reading, and it served me well when I came to study the history of athletics, and express it in fiction much later in life. In the meantime, aged 15 I had joined an athletics club, Shettleston Harriers, and every week plodded through the dark, misty streets of Glasgow’s East End and at weekends stumbled across the open country outside our ramshackle clubhouse. My club had a library, and a book called Powderhall and Pedestrianism, the story of Scottish professional athletics. 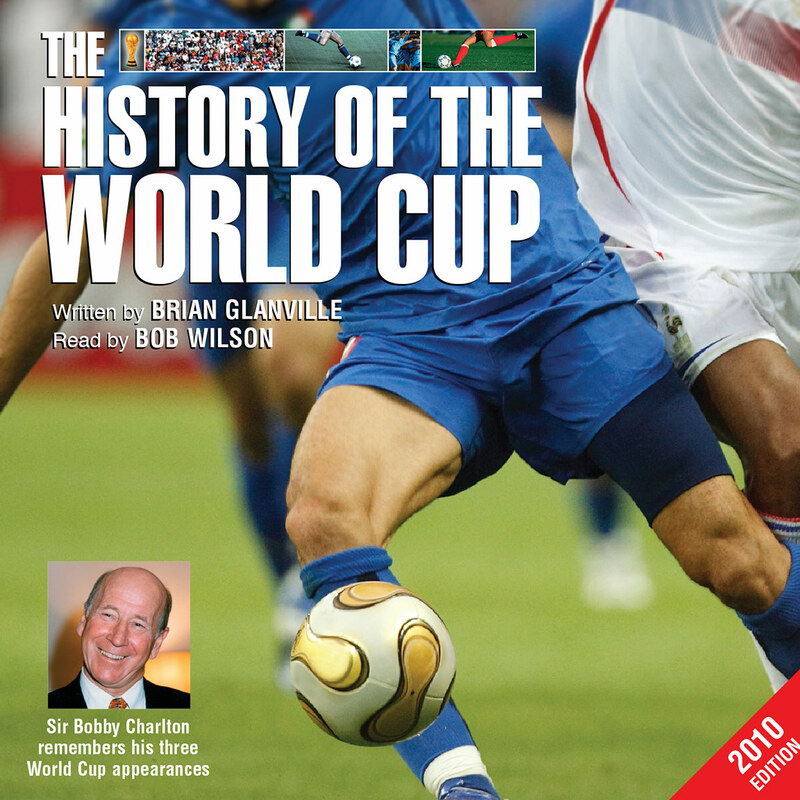 This triggered my interest in the history of the sport, quickened by the fact that our trainer, Alan Scally, featured in the book. There Alan stood in a misty 1920s photograph, one of the great professional distance runners of the period. A year later, I was in southern Scotland, picking potatoes at £1 a week in my school holidays, a princely wage. I found out that a professional athletics meeting was being held a few miles away, on a local village green, and I entered. It was like stepping back into the 19th century, for there were no take-off boards, no landing pits, nothing from the amateur world from which I had come. But at £1 for a win, it was good money, and I came away with three crisp pound notes in my sweaty palm, having won high, long and triple jumps. Much, therefore, of what was to appear in print 30 years later was being experienced and studied, even in those early days. All of this, this subterranean world of professional athletics and Scottish rural games, was to fascinate me in my early years as an athlete, for it was the dark side of the athletics moon. In those days professional athletes were pariahs, not to be mentioned in polite company. And I had come upon, in the literature, the Transcontinental Races of 1928, organised by C.C. (Cash and Carry) Pyle. The information on these Depression races was surprisingly sparse. The first 3,000 mile race had been from Los Angeles to New York in 1928, the second from New York to Los Angeles a year later, and both had been nightmares for C.C. Pyle, who had struggled to cover his costs and pay the athletes. By the age of 30 (after a career in which I had won five Scottish triple jump titles) I had become National Athletics Coach for Southern England. This resulted in the writing of a plethora of technical and historical works in the period between 1963 and 1977, and in the collection of an athletics library that had to be one of the most extensive on earth. In 1978 I went freelance, and a year’s contract for a failed Dubai sports venture cushioned me, enabling me to embark on the work of fiction which eventually became Flanagan’s Run. The Transcontinental Races must have festered in my mind somewhere, all those years, and now the time was ripe. By that time I had written many books and articles, but not a word of fiction, not even a short story. 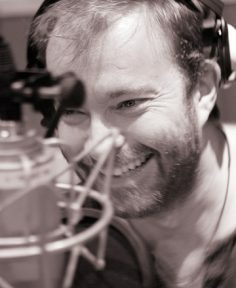 And so I started with three self-contained chapters (the parts that were short stories in themselves), and approached several publishers. One, Hodder & Stoughton, replied immediately, through an editor, Richard Cohen. This was fine, he said, but where was the rest of the book? At a meeting with him, I replied that there was no ‘rest’, that these three chapters were the sum total of my literary endeavours. Richard (an Olympic fencer) asked me to provide a chapter-by-chapter summary of the book, and promised me a set of edits. His edits turned out to be almost as long as the three chapters, and it took me almost a month to respond to them. Richard Cohen’s response was immediate. I had shown him that I could respond to his editing, and he would recommend the book to the Hodder board. I was in business. This was 1979, and I was by that time British Olympic Bobsleigh Coach and embroiled as Technical Director of Chariots of Fire. I thought it essential to get some idea of the terrain covered in the first part of the race, so I travelled by car across the Mojave from Los Angeles, taking notes. At a desert motel I came by chance upon a photocopy of a Las Vegas newspaper from 1931, outlining the ‘Wobblies’ dispute at the Boulder Dam in that year. Thus the race had to travel through Las Vegas, in order to embrace that 1931 strike. For the rest of the journey I relied on a vast knowledge of the American landscape derived from thousands of hours viewing American films. There is, apparently, a view in America that I must be an American. No. Only an ardent devotee of Hollywood movies. On my return from the United States I worked chapter by chapter, never moving on until each was fully edited and completed. I could not type, and my typist had no liking for those new-fangled computers. So I ground out 12 drafts by hand, over one million words. Each character had a physical basis somewhere in my head (Charles Bronson/Morgan, Jane Fonda/Kate) and where possible a psychological basis (parts of myself in Doc, Hugh and Flanagan); others came straight from the ether. The essence of the book is that athletes from all over the world come together in the middle of the Depression to attempt something that has never before been achieved. They come from a village in Mexico, from the mines of Fife, from the steel works of Pennsylvania to run up to 60 miles a day for weeks on end. In the end, all sport of this nature is not about winning and losing, but about proving who you are by what you do. It is about the power of the human spirit, how we change with challenge. One of the questions that I am often asked is what experience I have had of distance (let alone ultra-distance) running, and my answer is always ‘absolutely none’. 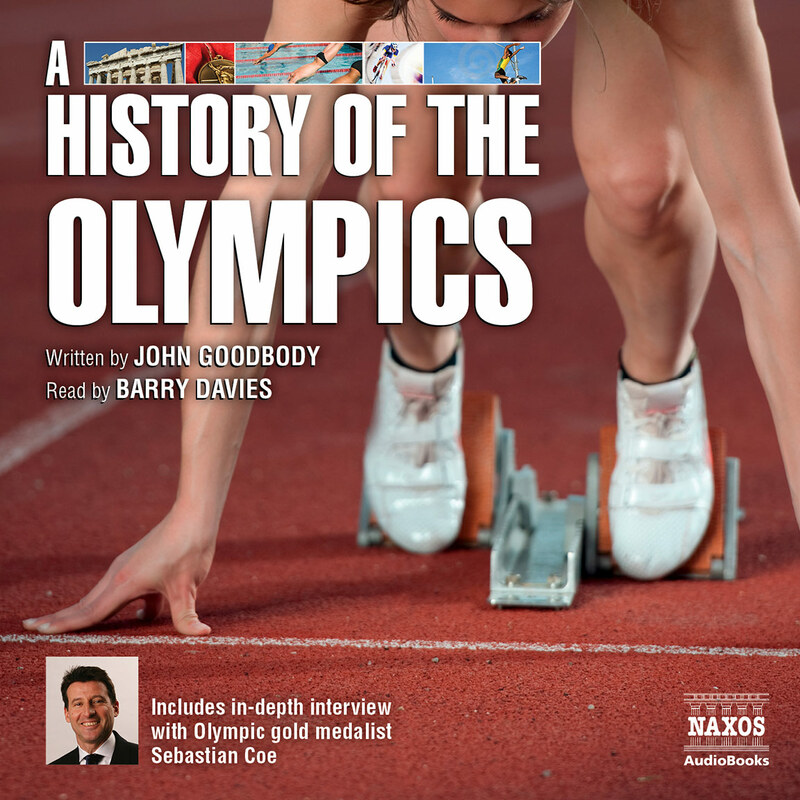 What I did in the novel was to extrapolate from my childhood memories, to use my ongoing experiences in running for fitness, and to dig into the athletics and social history of the period. The rest is pure imagination. The book is in some ways the product of Wilson of the Wizard, running endless miles over 40 years, promiscuous reading and movie-going, and my experiences as a coach. Flanagan’s Run was published in the spring of 1982. It immediately went to number one on the bestseller list, into 16 languages, and was optioned as a film. The film options moved around over the years (one producer died, owing $200,000) and finally ended with Miramax. Harvey Weinstein took the book with him to his new production company, Weinstein Productions, where it now rests, with Quentin Tarantino as a co-producer. I owe my writing career in fiction to one man, my editor Richard Cohen, for without his perception, without his editing, I would never have understood what was required to write successful fiction.